The United Arab Emirates is a country of natural and artificial aesthetic appeal. It is one of the most mesmerizing and elegant countries in the world. Every year umpteen tourists visit this country to spend their leisure and feast on the striking beauty of the country. To portray this amazing beauty of the country to the world, the impact of photography and photo editing services are undeniable. Among various cities of the country, Dubai is a lovely and mind-boggling city. The influence of photo editing services in Dubai is also noteworthy. However, photography is not about pressing the shutter button and capture a photo rather editing the photo reflects the main purpose of photography. Photo editing allows photographers to produce engaging and stunning photos. Those who cannot afford to visit the UAE can enjoy the graceful views and other heritage of the country due to the fascinating photos available on the internet. Even those who tour the country, also amass knowledge about the country’s natural and man-made elegance online either viewing the photos from social media like Facebook, Instagram, Pinterest, YouTube, etc. or through other platforms. There are numerous image editing companies operating in the UAE and serving its clients. 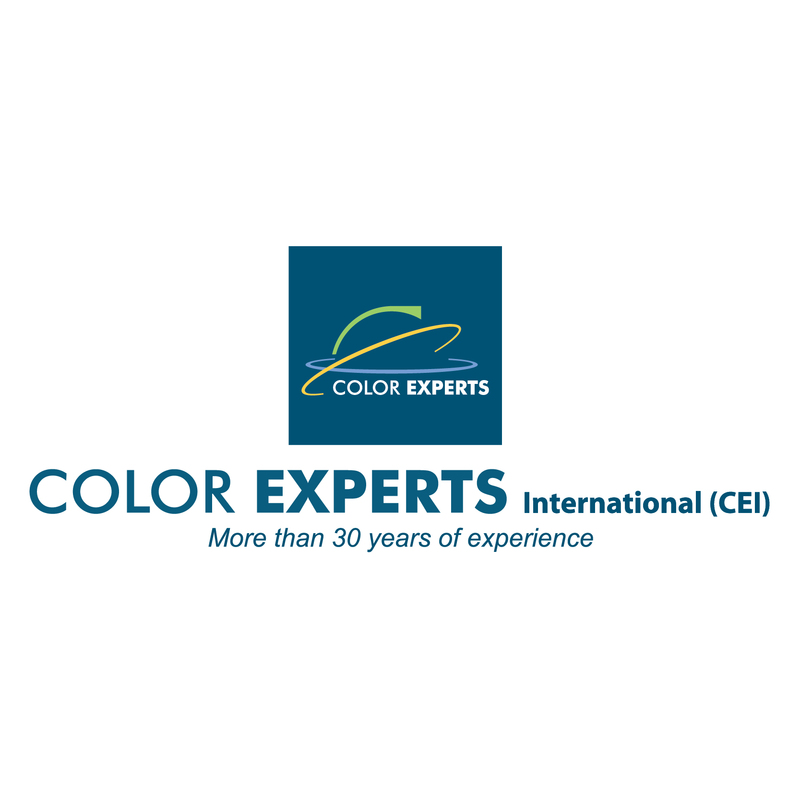 Color Experts International, Inc. is one of the pioneers of them in picture editing services and has been operating in UAE for over 30 years with utmost clients’ gratification. CEI is a US-based image manipulation and creative graphic design company with a corporate office in Sharjah, UAE. It was founded by Late Dr. R.K. Molla who has almost 35 years of teaching experience in the field of image manipulation in various Universities of USA. Professor Molla was awarded Master of Science and Ph.D. in “Electronic Color Separation” in the USA. He signed with various local companies and conducted pilot projects with them and finally started this company. His eldest son who is also the chairman as well as CEO of the company, Mr. Soel Molla has been managing the company since the demise of his father. He has received degrees in printing technology and printing management from the USA. He has worked for the top image manipulation company/prepress company in the USA. The United Arab Emirates is a country iconic for its charming skyscrapers, gorgeous mosques, beaches, high-rise shopping malls, deserts, etc. All the cities of UAE especially Dubai, Abu Dhabi, and Sharjah contain unique and dazzling views. Many local and international professional photographers shoot these appealing places and views for personal necessity. Many organizations promote the beauty of the UAE online through visuals and attract tourists. These experienced photographers and the institutions resort to image enhancing services before posting these in the public platforms. Moreover, the local people of the UAE and the tourists visiting the country are also fond of capturing the eye-catching and spectacular places. Everyone with his/her smartphone clicks the beautiful natural places and store the photos as memory. However, most of the time they snap the photos sloppily which result in shoddy photos. As a result, they approach to the skilled photo editors for bulk photo enhancement and retouching. So, the importance of photography post-production in the UAE is indisputable. Photo shooting is a passion for many people in the UAE. Both the dwellers and the travelers shoot the exquisite sites of the country. The country has restricted certain places from photo shooting for security reasons. Yet, the eagerness of photo clicking in UAE is on the rise. Apart from leading a luxurious life as a whole, Emirati people are also photo enthusiasts. Many people in the UAE are pursuing photography as their career. Not only the local Emiratis, but even the expatriates from various countries also establish themselves as professional photographers. As already discussed, UAE is a tourist-attracting country for its historical places and other natural view, many people also switch their track to photography for a better career path. Professional photographers of UAE normally spend time in capturing photos most of the time, for marketing their photography business, and get little time to process the photos. Photo editing services play a vital role in this case to touch up photos with perfection. Emirati people maintain a high living standard. The government of the UAE is trying its heart and soul to provide a comfortable life to its citizen. The Emirati people draw high remuneration in the government job and as a result, they also increment their expense. They lead a luxurious life by purchasing costly cars and villas. They also like going for a ride with family and friends. When they hang out with their close ones, it is common for them to have lunch and dinner in upscale restaurants. During the winter, they go to desert for camping and motorsports and during summer, they go to sea beach for swimming, water sports and fishing. The demand of photo editing services in such a society is unquestionable. 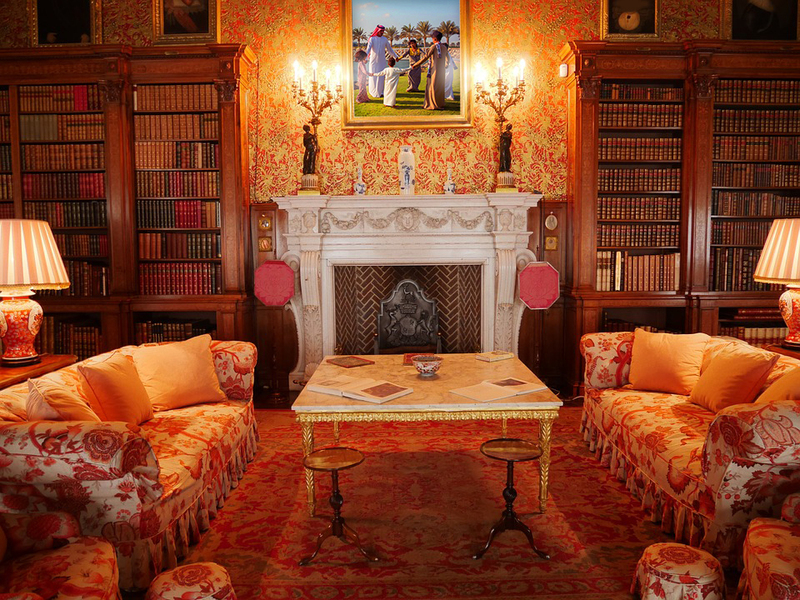 The rich people naturally like high quality in everything they own and also in the photos with no exception. Emirati people being rich, they fancy to retouch their captured photos to keep as memory or for personal use. UAE is one of the fastest-growing countries in the world and rapidly picking up the latest technology. The country is flourishing every day with the support of tech-savvy people to improve its economy. Photography has massive influence in the technological development of a country as it reflects the country’s image to the world through internet, electronic and print media. The dwellers of UAE especially of Dubai and Abu Dhabi always remain engaged with social media and upload the latest photos of technological development of UAE to notify the world and make their country proud. A layman is not capable of polishing the quality of the photos satisfactorily. These photos require professional touch to create an impact in social media as people always look for high-end images to react. Event management is a noteworthy facet of the UAE. The country is one of the few countries picked for various types of lavish and flashy events of Bollywood, sports, and multinational companies. Every year Dubai, Abu Dhabi, and Sharjah host innumerable events. The sponsors of these events spend flurry of money to make these events eye-catching and unique to the world. In such events, the utilization of photography is inevitable. When the stars enter the venue, the photographers get busy to take snapshots one after another. They also shoot plenty of photos during the events and the process continues till the end of the events. Many a time, the skilled shutterbugs click photos in a state of rush and the output of these images don’t come out as expected. Either the photos get blurred or contain unwanted objects in background. Sometimes, these photos also lack the desired quality. As the dwellers of UAE post these photos in global pages including social media for promotion, these require top-notch image retouching. Here, comes the image manipulation services through which images professional shutterbugs can enhance the images as per the requirement. The busy photographers can approach to the image editing service companies for photo retouching. The people of UAE, especially the dwellers of Dubai and Abu Dhabi have the luxury to enjoy the life. Even though they like physical shopping, they also love to avail virtual shopping. Many e-commerce websites based in UAE like souq.com, Mumzworld.com and some other sites contain posts of products of apparels, electronics, jewelry, stationery items, etc. which require high-end photo retouching to grab the potential clients’ attention. The world-class photo manipulation service providers in UAE are always committed to serve their clients in the best possible way. The e-commerce site owners can assign the editing tasks to the professional image editing service providing companies in a reasonable price and gain profit enormously. Many magazine publishers and advertising agencies look for glamour retouching and portrait retouching for their magazines and online pages for promotion and sale. Moreover, the top multinational companies in UAE always strive to upgrade their websites with various corporate identities, mind-blowing product images and service banners. They also design product catalogue, vector instruction manual, and brochure for promotional purpose. The professional graphic design experts of Emirati image editing companies carry out these services blending their skill and experience. Emirati companies being advanced in technological development, hire tech-savvy people who work proactively and sincerely to render gratifying services to the clients and benefit their respective companies. The UAE attracts a large number of tourists from different parts of the world. Blessed with some of the unique and superexcellent tourist spots, the country prioritizes the tourism sector with great importance as the country’s economy is highly reliant on this sector. The government of the country offers exciting amenities to boost the traffic of the visitors. The tourists visit the world-renowned sites of Dubai, Abu Dhabi, Sharjah and other cities like Burj Khalifa, Sheikh Zayed Mosque, Hajar Mountain, Sharjah Arts Museum, deserts, beaches etc. and enjoy the aesthetics of these cities. This amusement is incomplete without photo shooting. Some people take selfie like models with smartphone while others hire professional photographers to shoot the enticing sights of different places. Most of these photos require photography post-processing service to enhance photo quality. Only the professional photo editing companies are capable of retouching photos availing all the latest photo editing tools and kits. All the photo processing companies of UAE look for clients’ contentment to grab maximum number of clients. Keeping that in mind, they offer various amenities which not only help them reaching the potential customers but also it enables them to make them their regular customers. The Emirati photo manipulation companies who provide high-quality service, emphasize on manual photo editing service in Photoshop. This way enables the photo editors to take control of their editing and offer high-end service. Most of the companies from Europe and America rely on automatic online photo editing tools which may be cheap but shoddy in quality. On the other hand, Emirati photo enhancing companies due to receiving bulk image editing order on daily basis, not only charge low but also offer top-notch photo processing service. Image processing companies in UAE are quality prone and follow zero tolerance approach to lack of quality. They follow various steps while accomplishing their tasks. All these steps are pre-planned and they don’t carry out any task based on assumption. Even after completing each assignment, the review team examines the task to ensure full perfection. Competitive cost is another feature of many image editing companies in UAE. The top companies have huge clients and receive unlimited bulk order on various services which enable them to offer their services in low expense. This is how, they keep flourishing by grabbing more and more clients. Companies offering photo enhancing services in UAE are quite capable of making on-time delivery. UAE being a first world country, receive all the latest technology as fast as possible. These photo processing companies also receive this opportunity to thrive rapidly. In case of service delivery, they use secure and rapid file transfer system to appease their clients. As there are many advertising agencies and magazine publishers in UAE who publish photos of models and other products on daily basis, they ask for quick image delivery from image editing companies. Many companies are capable of delivering their services instantly with the support of their talented and highly deft editors. Almost all the photo editing companies in UAE hire professional photographers who are well versed and experienced in their particular task. These employees before joining in these world-class companies undergo several screening tests to prove their mettle. Finally, when they join in these companies, they are able to deliver what the companies expect from them. Most of the image manipulation companies in UAE offer alluring discount on bulk image editing order. The percentage of discount differs from company to company. Based on the volume of the order, the companies also raise the percentage of discount. It is a common feature of photo editing companies of the UAE to offer free trial service even though the process of offering this service varies from company to company. The companies provide a scope to the clients to judge their services. Many companies grab valued clients through this service and increase their revenue. Photo editing companies operating in UAE focus highly on quality customer care. One of the crucial ways to grab clients is to satisfy clients by providing valid information. Customer service department of these companies always remain dedicated to fulfil their job with utmost service. Emirati image editing companies hire honest, sincere and dedicated professionals in their companies. These employees operate availing their credentials and show full commitment to their job. The employees working in Emirati photo modifying companies always show firm determination and dedication towards their work. The photo editors and graphic designers in these companies hail from different nationalities such as India, Pakistan, Bangladesh, Sri Lanka, and also from some Arab countries. This allows every employee to interact with others and enrich their knowledge about their service. As a result, their dedication towards their work escalates which enable them offering quality image manipulating services to the clients. Passion for work is the cornerstone of success and so if the graphic designers and the photo editors carry out their job out of passion, they are sure not only to render quality output to the clients but also build their own career. Graphic designers and photo manipulators from Emirati companies love attaining knowledge on designs and editing by the passage of time and master their job. This enables them to provide services to the clients as per their expectation. One of the facets of first-rate service is focusing on detail. The graphic design companies active in the UAE always seek detail-oriented people as this approach brings perfection in a specific work. This is how, the companies are committed to render satisfactory services. The university is determined to be one of the leading educational institutes by offering the students an avenue to become innovative, effective and integral members of the community. They offer quality education, multidisciplinary research and career building degree to the students to flourish in their job and other future endeavors. From American University in the Emirates, the students have the opportunity to create innovative designs to meet a variety of graphics needs, including advertising, packaging, print media, branding and web production. The students in the university enjoy large design studios, sophisticated electronic media, printing facilities, and an extensive library are at their disposal in an open and imposing learning atmosphere. This university is the first overseas campus of the prominent Middlesex University of London. The company aims to fulfill the requirement and aspiration of the students providing a challenging environment where they can prove their mettle. The university equips the students as world leaders who can cope with any circumstance and contribute for the people tremendously. The university is widely considered as a stunning global provider of higher education with an extraordinary academic credential. Middlesex University Dubai produces highly qualified and successful graduates. It offers a degree in graphic design which integrates creativity with technical skills so that the students can explore how to visually communicate messages and ideas effectively and innovatively. By completing this degree, the students will be able to design traditional advertising and branding products. The University of Sharjah was established with a global vision and is a trendsetter for many other local and international universities. The university has a graphic design and multimedia department where the students learn about visual communication, typography, print and digital media, web design, design of multimedia (motion graphics and interactive design, television graphics and moving images). University of Sharjah grooms the designers in such a way so that they can cope up with the evolving design industry. In addition, the graduating designers can also move to other related areas such as mass media, advertising, and promotion. Apart from these universities, there are ample training institutes which offer various courses on graphic design. Among them, Aptech Computer Training, Al Shabaka Technical Institute, Informatics, Khawarizmi Training Solutions, and Elegant Training Center are worth mentioning. In this visually-oriented world, the design of graphics is notching up eminence. People don’t like to spend a huge amount of time in reading but it is also important to convey the message to the people and visuals play a great role in this case. The entrepreneurs of UAE are apprehending this fact and establishing new graphic design institutes to train the young guns of UAE so that they can contribute to the economy of the country. In a word, the future of the UAE in the field of graphic design is very promising. Photo editing or photo manipulation is a key part of photography. A photograph gets the splendid look after a professional image editor enhances it using various photo editing tools like Adobe Photoshop, Adobe Lightroom, pen tablet (Wacom) etc. Image Background Removal: Image background removal is one of the crucial services offered by CEI under clipping path and Photoshop image masking. To accomplish this task, the proficient graphic designers of UAE avail pen tool, pen tablet (Wacom) and sometimes the integration of both. As the product’s shape vary from one another, they categorize the products in different shapes including basic, simple, complex, compound, super complex, etc. The dedicated, talented and seasoned graphic designers of UAE with their expertise offer the optimal background removal service to the clients. Clipping Path: One of the tactics of removing background from a photo is clipping path. Photo editors apply it in a photograph by creating a path around the edge of the subject by pen tool to remove the background. In clipping path, the image editors cut out a 2D image by using Adobe Photoshop. Clipping path can be applied to the photographs that contain objects with sharp and smooth edges (hard) like table, chair, mannequin etc. However, it can also be applied to the objects with rough edges (soft) along with image masking. For example, human hair, furry clothes, blanket, trees etc. E-commerce site owners, professional photographers, freelancers, graphic design agencies require clipping path service. Image Masking: The objective of employing both clipping path and image masking is to eliminate the background from the image to give the image a special effect. Image masking is a strategy applied in objects with soft edges using pen tablet (Wacom) which enables hand-drawing of images to maintain accuracy. The remaining portions having hard edges are drawn by pen tool of Adobe Photoshop. In image masking, the image editors unveil portion of an image and conceal the rest of the portion. When it gets complex to draw minute details of an object having soft edges with clipping path technique, the photo manipulators employ image masking technique. There are many images having complex shape with curves and turn, blurred and furry edges in which image masking technique is inevitable to get perfection in editing. For example, human hair, animal fur, feather, blanket, smoke, flame, lighting, muslin, glass etc. Ghost Mannequin Effect/Neck Joint: One of the most important tactics to promote apparels is the use of mannequin as it can hold and straighten the products. At the same time, it is also crucial to display all the portions of an attire. Image manipulators utilize ghost mannequin effect to exhibit the hidden portions of an apparel or else it will get obscured by the mannequin. It is very crucial to display all the parts of an apparel to attract customers and it will also allow the customers to visualize the products. The editors employ this technique in apparels like t-shirt, pant, jacket, sweater etc. where a particular mannequin with a dress is snapped from different view; from the front, back, bottom, sleeve, and also from the inner part of the neck side. The photo editor then combines the neck, sleeve and bottom joint to create a unique look. Photography Post Production: Post production is an integral part of photography. After a photo is clicked, the output will naturally lack high quality due to various flaws including erroneous camera settings, deficit of lighting, improper position, etc. Sometimes, the subject of an image has dark spots under the eyes, rough skin, wrinkles in the skin, stray hair, etc. To resolve these issues, photography post-production service is indispensable. In addition, some images require contrast and exposure adjustment, face and body reshaping, color correction, adding shadows, removing dust, resizing photos, adding watermarks, etc. to enhance the images. The Emirati photo modifying companies offer this service for wedding photo retouching, portrait retouching, real estate photo retouching, photo background removal, product photo retouching, jewelry photo retouching, etc. In the first step of post-processing, the raw images are loaded into the post-production software. Then, the raw photos are enhanced using various tools such as healing tool, clone tool, patch tool, etc. as per the requirement of the clients. Wedding Photo Retouching: Many a time, due to inappropriate position, defective camera setting, shortage of lighting result in low-quality photo outputs which displease the couple. Occasionally, these memorable images also incorporate unwanted objects and incompatible background which distract from the people main subject. Photo retouching companies of the UAE have highly experienced and professional photo editors who possess the skill and talent to optimize the wedding photo quality with the latest version of photo editing software like Adobe Photoshop, Adobe Illustrator, and Adobe Lightroom to appease the company’s clients. Under this service, they execute photo culling, photography post-production, HDR photo blending, adding or removing object, changing or replacing background, exposure correction, etc. Real Estate Photo Retouching: Like many other businesses, people are also resorting to digital marketing for real estate business and for this it requires high-end photo retouching and editing. Emirati image manipulation companies not only offer real estate retouching and editing rather offer it in a wide range. They have a team of genius and experienced graphic designers who upgrade these photos by adjusting brightness, contrast, and exposure, adding or removing objects, applying color correction method, etc. using Adobe Photoshop, Adobe Lightroom, and other latest technologies. Their services include architectural rendering post-production under which they carry out greenery attachment, live people attachment, sky attachment, real-life prototyping, etc. and interior post-production under which they execute furniture enhancement, furniture attachment, wallpaper optimization, color change with multiple selections, etc. Vector Illustration and Conversion: All the images which we encounter are found in either raster or vector format. Photo resolution is a massive issue in a raster image as it gets pixelated when someone zooms in the image. It also loses its natural quality. That’s why, it must be converted into vector to retain the quality. Vector image is free from pixelation and is dependent on lines which lets the image to retain its original form. The companies providing vector illustration and conversion in UAE have well-groomed vector illustrators and converters who are master in raster to vector conversion, vector line drawing and artwork design, vector logo design, product to vector design, vector character drawing, 2D CAD design, 3D vector conversion, etc. E-commerce sites, magazine publishers, flier designers, catalog designers, photographers are noteworthy clients of this service. Color Experts International, Inc. is a bulk photo editing and graphic design company. We have been rendering high-end graphic design and image manipulation services for over 30 years availing various photo editing tools such as Adobe Photoshop, Adobe Illustrator, Adobe Lightroom, pen tablet (Wacom), etc. Our image retouching services include clipping path, image masking, ghost mannequin effect, photo restoration, photo retouching, color correction, vector illustration and conversion, image shadow service, photo blending service, 3D modeling, video editing, etc. We have over 250 professional graphic designers committed to provide flawless service to the clients. Our service quality is superior as we have a 3 step QC process to make sure the optimal quality. We have Free Trial service for your assessment where you can send up to 2 images for judging our service quality. We offer our services at the most competitive price as our price starts from 0.49$ and depending on the complexity of images, the price can vary. Furthermore, we provide discount on bulk image editing order and the discount reaches up to 50% depending on the volume of your order. If you are eager to take advantage of our service, you can send us Quote Request and we will notify you about our price package. Our clients include e-commerce sites owners, website owners, professional photographers, magazine and news publishers, advertising agencies, fashion houses, etc. We are also well-known for making on-time delivery. Additionally, we offer rush delivery service on emergency. We use FTP, Dropbox, and Hightail to ensure secure and rapid file transfer.